LONDON (Reuters) - A representative of U.S. President Donald Trump raised the case of jailed British anti-Muslim activist Tommy Robinson with Britain's ambassador to the United States following lobbying by the right-wing Breitbart.com website, according to a British government source and a pro-Robinson campaigner. Three pro-Robinson campaigners said there were multiple direct contacts between Brownback, his aides, people connected to Breitbart.com and other groups protesting Robinson's imprisonment. However, the spokesman said, "We refute as completely false the reports which wrongly assert that Ambassador Brownback urged the UK government to act on this issue or threatened repercussions by the U.S. government in any way." Robinson was arrested in late May outside a courthouse in Leeds, England, while making video recordings about a trial related to child molestation. He was jailed for 13 months. Robinson's trial lawyer did not immediately respond to a request for comment. Robinson's real name is Stephen Yaxley-Lennon, though he uses a number of aliases. 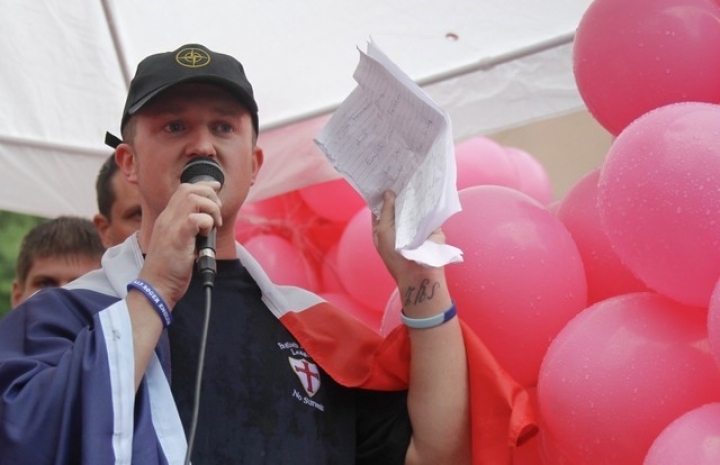 He is a founder of the English Defence League, which has organized violent demonstrations against Islamic immigrants in the UK in the past decade. Bannon did not participate in Saturday's pro-Robinson protest. But in a radio discussion with Nigel Farage, former leader of the anti-immigrant United Kingdom Independence Party, Bannon said Robinson should be released from prison.